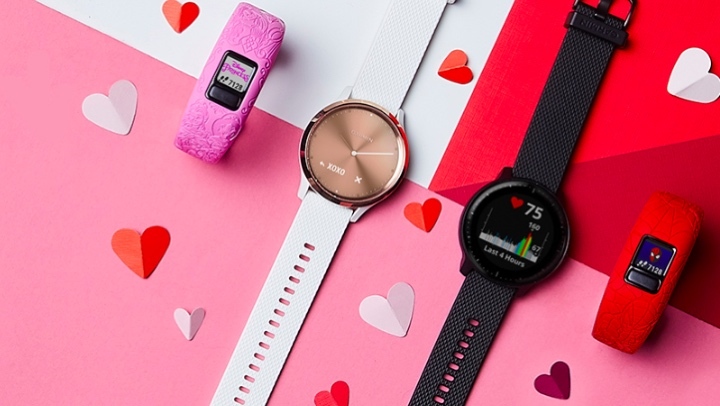 Garmin is rolling out the deals for Valentine's Day letting you bag a smartwatch and erm, a kids fitness tracker on the cheap. If a Fitbit Valentine's Day deal doesn't float your boat, Garmin and Amazon are offering cut-price deals on the Vivomove HR, Vivoactive 3 smartwatch and somewhat bizarrely the Vivofit jr.2. The Vivomove HR, one of our favourite hybrid smartwatches is now $169, which is down from $199 and is a pretty tidy $30 saving. The hybrid is also available in a premium model offering a more luxurious look and is available for $319.99, which is down from $349.99. The Vivoactive 3 is Garmin's proper smartwatch offering features like Garmin Pay and a built-in music player. Both the Vivoactive 3 and Vivoactive 3 Music are down to $239.99 from its usual $269.99 price. This deal doesn't however cover the new Vivoactive 3 Music with LTE. Last up is the Vivofit jr.2 a kids fitness tracker, which comes in your choice of Disney, Star Wars or Marvel adjustable or stretchy bands. The swim-friendly wearable is now $59.99 down from $79.99. We imagine you've got until around the 14 February to get in on this deals action. We suggest not leaving it too late if you want to have time to wrap it as well.